Two weeks ago, the TRU Muslim Students Association officially reopened their club on campus. Ibrahim Hamid, the president of TRU Muslim Student’s Association, has decided to take the initiative and expand services that university offers for its Muslim students. 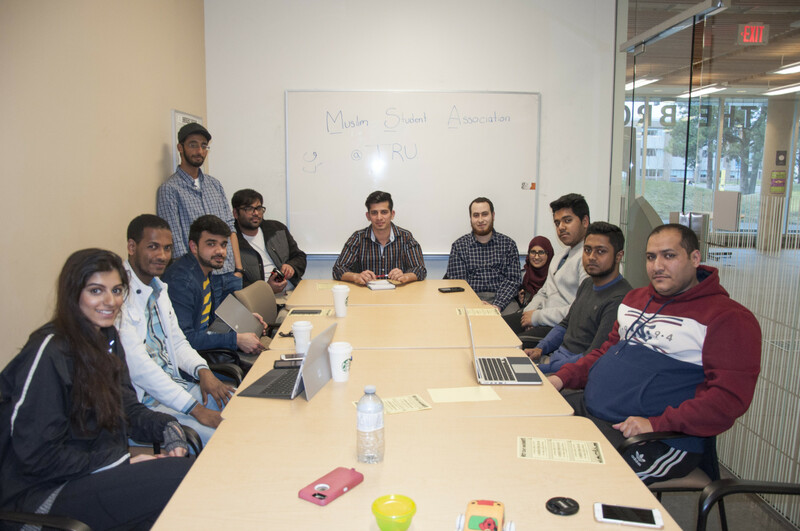 On Friday, April 7, Hamid and his colleague, Inayat Ur Rehman, organized the Muslim Students Association’s first board meeting, where they implemented the club’s further activities and annual agenda. “We feel responsible for Muslim Students Association members, and in our MSA we are all equal because together we can all make a stronger foundation for all Muslim students at TRU,” says Ur Rehman, vice-president of the Muslim Student’s Association. The goal of the first meeting was to divide all the responsibilities between each other. There are some vacant positions in the club, such as senior advisers, event organizers, and spokespeople. All of the positions need to be filled soon and it is essential for each member of the association to be in charge of something because the two most important Islamic events are coming this May. Celebrating special Muslim dates, such as Ramadan and Eid, are presently the club’s priority. Ramadan is an Islamic month of fasting, and Eid is the festival that symbolizes the end of the fasting. It is important to support each other during theses special dates, especially when students are far away from their families. Muslim students will have the opportunity to celebrate these two dates together and it will minimize their risk of feeling homesick. Hamid and his current team are all preparing for Ramadan and community members have already negotiated with Aramark campus food facilities that will serve Muslims with Halal food during the Eid. Since a lot of Muslims on campus are representatives of different countries, the board meeting gathered different TRU associations together, such as Pakistan’s Student Association and TRUSU Bangladesh Club. Muslim Students Association members believe that working collectively will help the association be prepared for Ramadan and Eid. There are still some available positions inside of the club and according to the Muslim Students Association representatives, all of the vacancies are to be filled as soon as possible. The Muslim Student Association is inviting everyone who has the will to participate in the club’s activities to attend or make a contribution.